All movie lovers dream about having their very own home cinema. We can make the dream a reality with our home cinema kit. The following are some occasions that would be ideal for it. Home Cinema Kit For Kids Birthday Parties! Nothing grabs children’s attention like a good film. They go from vociferous play to total absorption in a matter of minutes. Our home cinema kit rental will recreate the cinematic experience so all you need to add is popcorn and Pepsi! You can relax and enjoy the respite from watching over the kids as they become engrossed in the film. The cinema is magic for us all but especially for children as they are so impressionable. 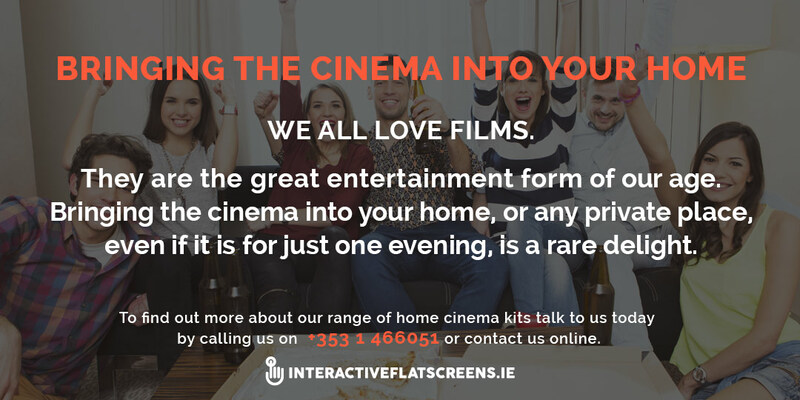 Bring some of that magic into your home by hiring our home cinema kit. Maybe you have a wedding anniversary coming up. Maybe there is a film that you both love or has a special significance. Maybe it is the first film you went to see as a couple. Like a piece of music, couples have films that have strong romantic associations. 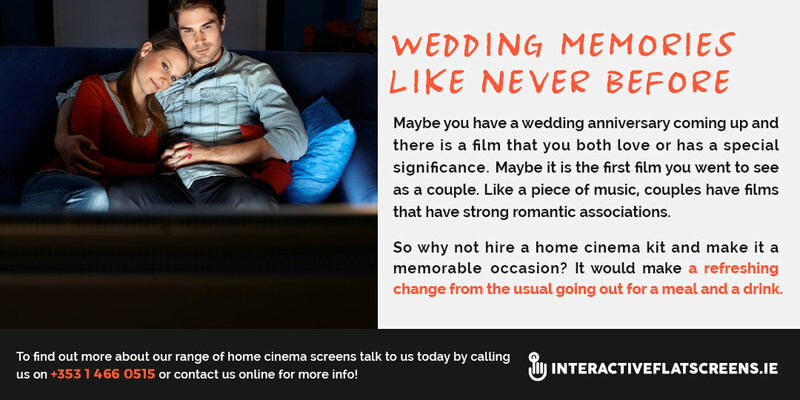 So why not hire a home cinema kit and make it a memorable occasion? It would make a refreshing change from the usual going out for a meal and a drink. You can play anything you like on the home cinema, which is one of the beauties of the system. Maybe you made a film of your honeymoon that you want to play to some friends and relations as a way of saying thank you for all the wedding gifts. Or maybe you have a live recording of a gig your band played. Invite friends and journalists to your home to see the film. It would be a great way to promote a new album or EP. You might be a budding filmmaker and you wish to make an occasion of your debut work. Why not treat it as a premiere proper and hire our home cinema kit? Maybe you are part of a social group or college society and there are films that are relevant to the interest of the group. 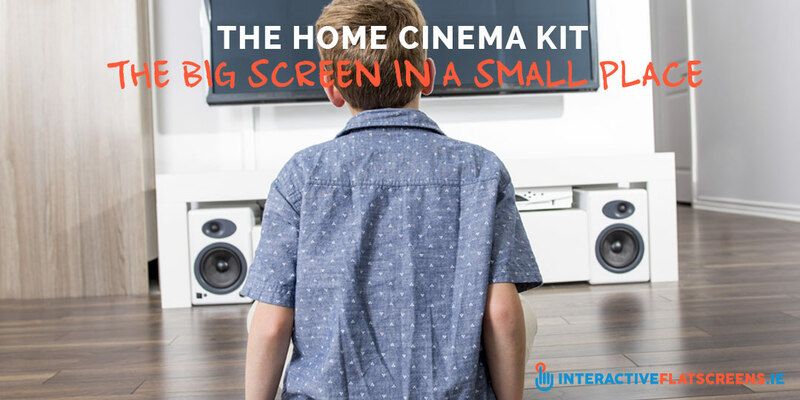 Hiring a home cinema kit is a fun way to celebrate that interest. For example, you might part of a J.R.R. Tolkien society or a fantasy fiction group in general. You could organize a ‘binge’ viewing of the three Lord of the Rings movies. Or you might be part of an Ancient Classics society. You could watch Gladiator or Troy to see Hollywood’s take on the Antique world. It doesn’t have to be in the home. The kit is suitable for any average size room e.g. a classroom or in a community centre. And for bigger events there are always video walls available for the extra wow factor. We all love films. They are the great entertainment form of our age. Bringing the cinema into your home, or any private place, even if it is for just one evening, is a rare delight. Talk to us today by calling us on +353 1 4133 892 or contacting us online and we can help make it happen.